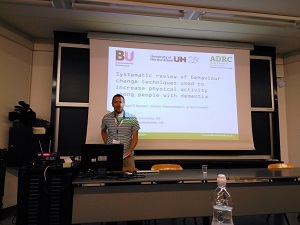 Dr Samuel Nyman, Yolanda Barrado-Martín and Iram Bibi, from the Psychology Department and Ageing and Dementia Research Centre (ADRC), attended the 31st edition of the European Health Psychology Society Conference in Padua (Italy) from 29 August to 2 September 2017.
had an oral presentation each with the first being Systematic review of behaviour change techniques used to increase physical activity among people with dementia, and the other titled Acceptability of a tai chi intervention for people living with dementia and their informal carers. Dr Samuel Nyman was also in charge of chairing the session Physical and cognitive function in later life involving these two presentations. Those attending the session showed their interest in the topic and asked questions about ways of facilitating people living with dementia’s participation in exercise interventions. 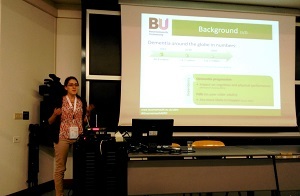 This was a great experience for Yolanda who presented her PhD pilot results for the first time to a friendly international audience. interventions, exercise, behaviour change techniques, adherence to interventions, and relationship of patient and care givers. Titles of few among many interesting sessions are highlighted; Mechanisms and adherence in interventions for patients with chronic disease, Caregiving and relationships in health, Methods for building better behaviour change interventions, Dyadic regulation processes to promote health and well-being in romantic couples, Developing and evaluating interventions to promote physical activity: issues in special settings and populations and Behaviour change theory and interventions in implementation research. 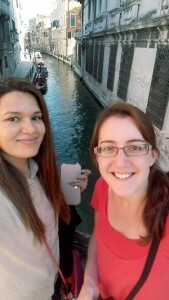 Iram Bibi found that the poster presentations were also a great learning experience and an opportunity to socialise with scholars from around the globe.